I love Berlin like no other city in the world. Sure, people will tell you how much it has changed over the last 20 years or so. But in my view this is what makes Berlin special and exciting. As a Berlin insider, I think that here are quite a few things that are special about Berlin that you should know about. If you are planning a trip to Berlin soon, you will need a Survival Guide for Berlin. It will help you avoid common mistakes, make you understand better how things work around here, and will answer quite a few questions about the cultural nuances of Berliners in general. Potsdamer Platz is one of the three centres of Berlin. It is located on the former border between East and West and mainly consists of modern architecture, museums, and shopping arcades. Most bigger cities in Europe have a core or a city centre where most of the attractions and action can be found. In the case of Berlin this is different. This is mostly due to the fact that Berlin was a divided city for a long time. Today, Berlin has three main city centres, each with their own appeal. 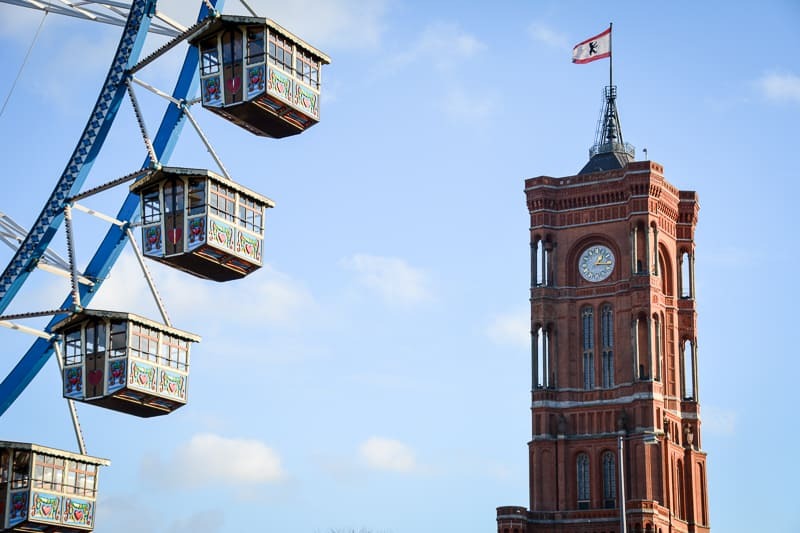 In the West, shops and attractions are grouped around the area of Kudamm, Wittenbergplatz and Bahnhof Zoo Station. The main retail action of East Berlin can be found around Alexanderplatz. 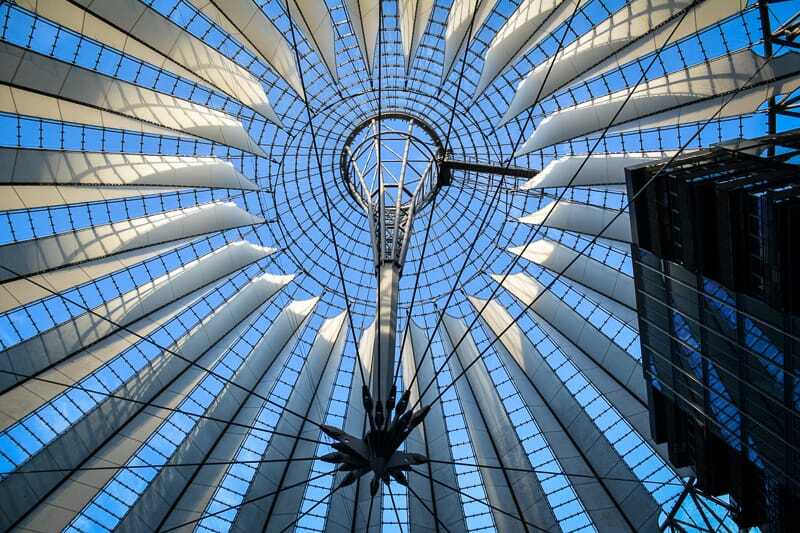 In the middle, Potsdamer Platz is also great for museums, shopping, and sightseeing. 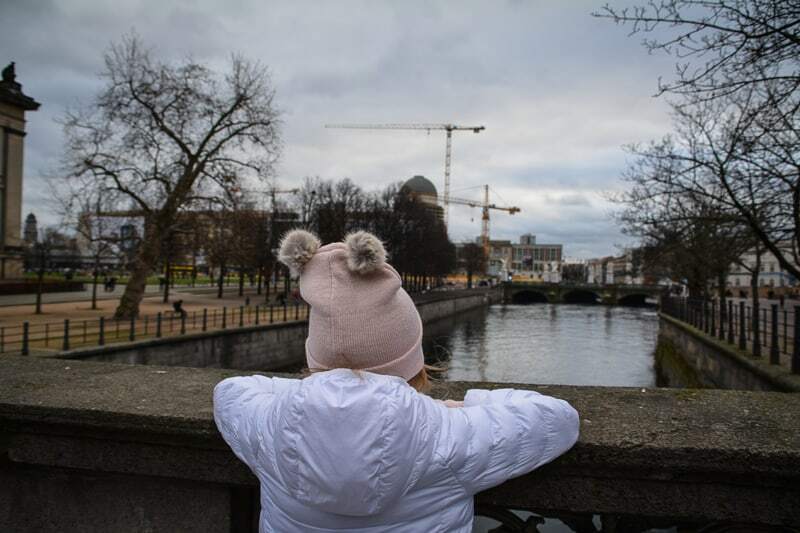 Having said that, there are a lot of sights between these three centres such as the famous Brandenburg Gate, the Reichstag, and the East Side Gallery. Plus, there is plenty of off-the-beaten-path stuff, street art, nightlife, parks and castles etc. in the surrounding neighbourhoods. What I am trying to say is, you cannot see Berlin on foot in a day. You will need to work out a strategic plan to tackle things in the same area. And you will need a travel pass for public transport to get around easily. The easiest way to get around Berlin is by using the public transport system. It’s not a perfect system by any means, but having experienced trains and busses in other parts of the world, it is pretty good. Berlin has a network of busses, trams, S-Bahns (suburban trains), and subways. The network operator is called BVG, and while there are no barriers before platforms to check your ticket, it’s a wise decision to not use public transport without purchasing the right ticket first. I generally recommend you get one of these tourist passes that will allow unlimited travel in zones AB. You can purchase a C extension ticket for a day if you would like to add on a day trip to Potsdam. Taxis are quite expensive and not that useful in Berlin, you are better off joining the thousands of Berliners that travel around the city each day. Germans are mostly very green people. Even when I was a little kid (before there was the internet etc.) people in Germany realised that they needed to change their behaviour if they wanted to save this planet. 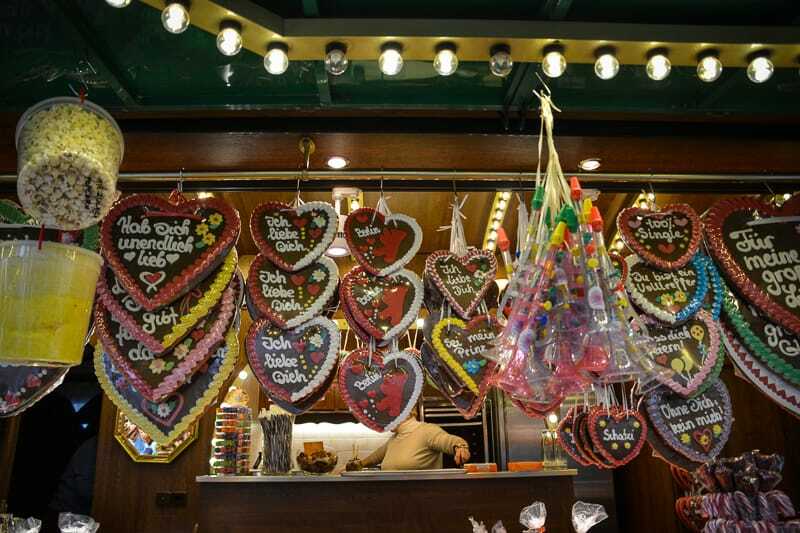 So there are many things that Berliners will do that may be foreign to your own culture. One thing that I needed to get used to again after many years of living abroad, is that plastic bags are extremely evil. Back in Australia, you would be handed plastic bags everywhere, with supermarkets being the main culprit (but luckily in Australia this is changing now too). In Germany, and this includes Berlin, you will need to buy a plastic (or paper) bag if you really need it. This applies not just to supermarkets but also to most other retailers such as fashion stores or pharmacies. Most people will carry their own (tote) bag in case of a spontaneous shopping spree to avoid having to buy a bag with their shopping. So if you are staying in a Berlin for a couple of days, be prepared and have a bag ready to take you shopping with you. 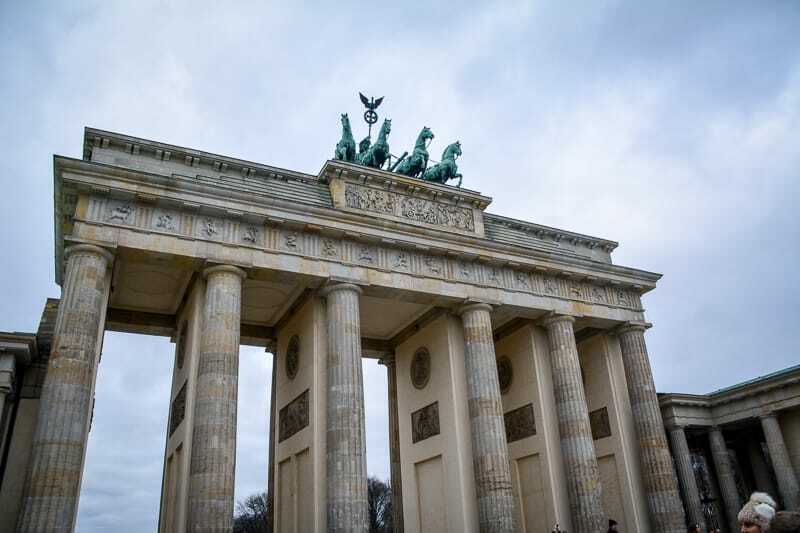 The Brandenburg Gate is probably the best known tourist attraction in Berlin. It is a popular playground for scammers, so beware! Not everything about Berlin is great, of course. There are also plenty of scammers around. It’s curious to see how each European city seems to have their own special breed of scamming people. Nowadays, I see at lot of Shell Game Players in front of popular attractions and on busy public transport intersections. These people usually come from Eastern Europe and they have just one thing in mind: To scam you of as much money as possible. Needless to say, don’t even think about trying your luck with these people, you will only ever lose. Pickpockets are another problem just like in other bigger cities, so be careful with your valuables. Lastly, I recently witnessed groups of young women talk passerbys quite successfully into some scheme, scam or other. Just ignore them and walk on. The younger generation in Germany (those under 45) will usually be able to speak good English, even in Berlin. But do note that English language tuition in school was not mandatory for people growing up in the former East (they had to learn Russian instead). Others will be reluctant to use English (feeling insecure and having lost all memory of their English classes back in highschool). What I am trying to say is, just don’t assume that everybody around you will be able to understand your English. Some people will be quite perplexed and unhelpful to the point of being rather rude (that’s typical in Berlin, so don’t worry, it’s not you!). It helps to learn some basic words and sentences before you visit Berlin – I recommend Duolingo which is a fun free language learning app that works well for me. Having said that, in trendy suburbs of Berlin such as Friedrichshain and Prenzlauer Berg, English is the preferred and expected lingua franca these days. 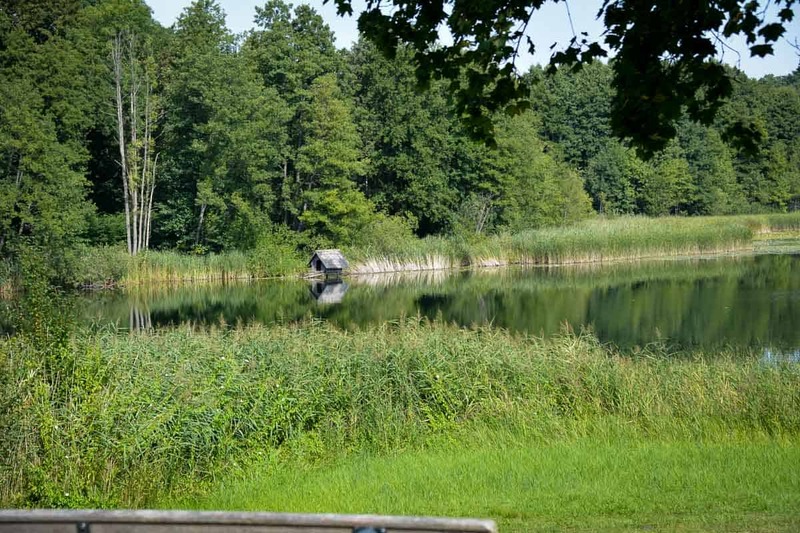 Remember how I said that Germans are quite green and that they care for their environment? Another thing you need to know about them is that they like to recycle their drinking containers. The system works this way: You purchase a bottle or a can in a supermarket, at a kiosk or somewhere else – the price that you see advertised and that you pay will include “Pfand”. This is the small amount, just a couple of cents but it encourages people to return their empty containers to the shops who will then pass it on to the manufacturer for recycling. You can return your containers to any shop (it doesn’t have to be the one where you purchased the bottle). Provided that they stock the same brand you can claim your Pfand back. Supermarkets these days will have a machine in the front that will take the bottles and will give you a token to use at the cash register. If you don’t want to bother about any of this, leave the bottles in a safe place near a public trash bin (outside) to be collected by a “professional” collector, usually a homeless person. Germany has a very strict retail opening hours policy. It is getting better now (I remember when I was little, shops would close from Saturday midday for the weekend). But you do need to be aware that shops close on Sundays still. There are a few exceptions in the year, in particular as we approach the pre-Christmas season, but on most Sundays even the big retail stores and supermarkets might be closed. Speaking of exceptions, around touristy areas and train stations this rule does not apply – you can shop here to your heart’s content until late at night and also on Sundays. For late night cigarettes and drinks, you can also seek out petrol stations and Spätis – these are small corner stores that live off people like you who need to shop outside normal opening hours. Having lived in Australia for many years, I grew very accustomed to the idea of free tap water on the restaurant table. In Berlin, you will need to order water in most cases, and pay for it too. Tap water is not something restaurants will want to give you – maybe there is some sort of reason for it. When you order water at a restaurant, know your preference: Germans love heavily carbonated water that will make you belch. If you are not keen on this, order “stilles Wasser” instead. Berlin’s climate is warm in summer and icy cold in winter. Just because there may be a couple of warm days in summer, nobody would think it necessary to install air-conditioning. So when the heat wave does strike (as it did in the summers of 2016 and 2018), forget about getting a good night’s sleep. Or a sweat-free ride on the subway. Or even ice cubes in drinks. Berliners are not accustomed to these things and they don’t expect them to be around. They might complain about the heat but hey, everybody sits in the same boat. On the upside, if you do end up staying in the city on a hot day follow the crowds and bathe in one of the many beautiful lakes around the city! When you need to get some groceries at a Berlin supermarket, make sure you have practiced your moves. Cash register attendants tend to scan grocery items in a super fast fashion and then expect their money straight away. Remember you will also need to bag your own items (in a bag that you have hopefully brought with you). Letting people wait at a busy register is considered very rude. So if you cannot handle the pressure of counting your cash and bagging your stuff at the same time, practice at home. Germans do not understand the concept of cheques. They know credit cards but consider them only necessary when travelling abroad. Their debit cards are handy but are usually used when withdrawing money at the ATM. Yes, in many cases you can pay with card at a Berlin restaurant or shop, but most people have a innate distrust and don’t like cashfree transactions. Shops needs to pay a feel to card companies if they are accepting card payments. So it is not unlikely that the business you are dealing with will not accept cards, so have some cash ready at all times. While Berlin is generally a safe city with lots of great nightlife, there are a couple of places in the city that are best avoided at night. Most issues arise from drug trafficking and assaults and happen in transport hubs such as outside S-Bahn and subway stations. Crime hotspots according to Berlin police include areas such as Alexanderplatz, Kottbusser Tor, Görlitzer Bahnhof, and Bahnhof Zoo (source). This doesn’t necessarily mean that something bad is going to happen if you need to switch trains here at night. Just be a little bit more vigilant and use common sense. In the last ten years, Berliners have developed a surprising love for bicycles. This is great considering how many cities have massive traffic problems and choke on cars. While the city is not quite where it should be in terms of a bicycle-friendly city, I am happy to see how many bike lanes have been added to the streets already. In warm weather, exploring Berlin by bike is great fun. Berlin has tons of restaurants, bars and cafes to choose from, which is wonderful to see and to experience. Just like in other bigger cities around the world, there is a eagerness to find and follow new food trends. You will see in Berlin’s restaurant kitchens a surprising concoction of flavours and textures from around the world. There are also more traditional international foods of good quality such as burgers, pizza, kebab, sushi, and rice paper rolls. What you don’t get that easily though is German food. If you think that traditional German food is all Schweinshaxn and sauerkraut, you are mistaken. Go to Munich if you want that kind of food. A typical Berliner food to try, however, is the currywurst, a curried sausage served with fries and optionally mayonnaise. You will find it a typical street food stalls. Also try Pfannkuchen (round doughnuts with jam filling), and Quarkbällchen (similar but without the jam and smaller) from a bakery. If you want to dine on proper Berlin food, try Restaurant Zum Schusterjungen. Road closures are a daily occurrence in Berlin, mainly because Berlin is a capital city. Demonstrations and state visits can abruptly and unannounced ruin your plans of getting from one place to the other. Add to that the occasional traffic accident which may occur on the tracks of the tram or on a busy cross road. These things do happen and not a single Berliner would seriously spend more than five minutes of anger on it. If the disruption is of a more permanent nature find an alternative route (I prefer Google Maps) and get on your way. Germans have the tendency to be honest to the point of bluntness. They have no interest in you if you are a stranger so they won’t pretend to. Small talk is virtually unknown in most places, and some may even consider idle chitter-chatter as an invasion of their privacy. Don’t get me wrong: We do greet each other in hallways and when checking out at a supermarket. But we wouldn’t enquire about your day unless we would be really interested in the answer. Get it? After living in Australia for 14 years I still have to get used to this lack of small talk – my first question when answering the phone and starting the conversation still is,“How are you?”, which is usually met with surprised silence. Berliners are used to tipping in restaurants and bars. But it’s a different kind of tipping than what you would have in the States. It’s more of a token of appreciation for good service, not a topping up of a dreadfully bad base salary. I tend not to tip if I fetch the drink myself from the bar or if it’s just a small transaction. When eating at a restaurant we add a small tip of two euros or so (depending on the bill) if we liked the service. Visiting Berlin in winter is doable but make sure you pack warm clothes! The worst thing about Berlin is wintertime. I grew up in Germany but it was only when I moved to Berlin that I learned what truely cold weather really meant. I remember wrapping myself up to go to uni as if I was about to climb an Alpine mountain. Long underwear under my normal clothes, boots, woolen hat, scarf pulled over the tip of my nose – and yet I was freaking cold. This is actually the main reason why our decision to move to Sydney, Australia happened in a Berlin winter. Anyway, if you plan to travel to Berlin in winter, make sure you pack the right clothes. It is not just the outside temperature as such that can be challenging. It is the wind chill from those easterly wind that come all the way from Siberia to hit the German capital. One minute you are fine walking down that road, the next you turn a corner and the full icy blast will hit your face. Surviving Berlin – Do you Now Feel More Like a Berlin Insider? I hope that with these 18 tips about Berlin culture you will now be prepared to visit this wonderfully crazy city. As you can see, there are a couple of really strange Berlin insider tips you need to know to avoid a faux-pas or two. Or maybe you have already been and would like to add something to the list? Let me in the comments! Historic Auto Attractions: Is This the Most Surprising Museum in Illinois?